It has been learnt that Bajrang has already filed his nomination through the Wrestling Federation of India, while Vinesh is likely to be considered by the Sports Ministry. 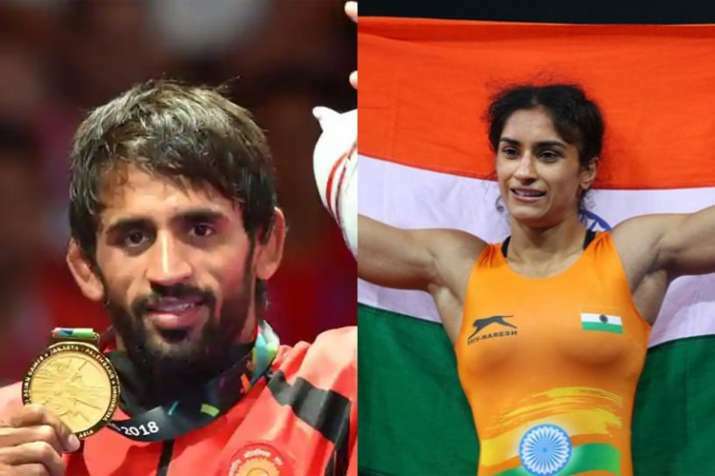 Champion wrestlers Bajrang Punia and Vinesh Phogat are in contention for the Rajiv Gandhi Khel Ratna award, the country's highest sporting honour, after notching up gold medals in this year's Commonwealth Games and the ongoing Asian Games. It has been learnt that Bajrang has already filed his nomination through the Wrestling Federation of India, Vinesh is likely to be considered by the Sports Ministry, a source in the Wrestling Federation of India told PTI. Sports Minister Rajyavardhan Singh Rathore is set to analyse the Indian athletes' performance in the Asian Games in the first week of September. 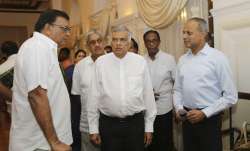 The Ministry then likely makes its recommendations for the National Sports Awards to the selection committee, which will be finalised in the next few days. Every year, the National Sports Awards ceremony is held on August 29 at the Rashtrapati Bhawan to commemorate the birth anniversary of hockey legend Major Dhyan Chand as the National Sports Day. 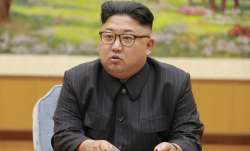 But in a departure from tradition, the this year's ceremony has been shifted to September 25 to avoid a clash of dates with the ongoing Asian Games and ensure maximum participation of athletes. "Both Bajrang and Vinesh are strong contenders for the Khel Ratna Award and it won't be surprising for us if both win." Chopra, who shot to limelight after winning a gold in the World Junior Championships in 2016, has also been nominated for the Arjuna Award and was the flag-bearer of the Indian contingent during the opening ceremony of the ongoing Asian Games. "Both Bajrang and Vinesh's names were not in the entries received by the Ministry by April 30 cut-off date but we will have a review meeting of the Asian Games medal winners soon and the Ministry can recommend some eligible candidates to the existing list to the selection committee. The highest number of athletes to be conferred the country's highest sporting award in a calendar year is four when PV Sindhu, Sakshi Malik, Dipa Karmakar and Jitu Rai received the honour in 2016.